Bavette steak, which for some unfortunate reason is also called “flap meat,” is similar and texture and flavor to a flank steak. It’s taken from a section above the flank in the loin area. Traditionally, it’s cooked quickly over high heat, but after 2 hours in the Anova Sous Vide Precision Cooker at 130ºF, we’ve decided it’s the best steak ever. Cut this steak across the grain to maintain tenderness. 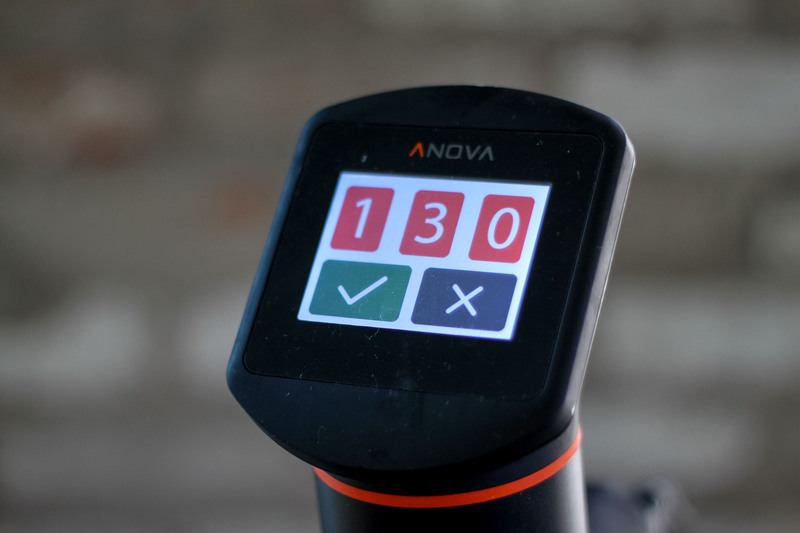 Set the Anova Sous Vide Precision Cooker to 130°F (54°C). Season the steak with salt and pepper and place in a large zipper lock or vacuum seal bag. Seal the bag using the water immersion technique or a vacuum sealer on the dry setting. Place in the water bath and set the timer for 2 hours. When the timer goes off, remove the bag from the water bath. Remove the steak from the bag and pat dry. Season with salt and pepper. Discard any cooking liquid. Remove steak from the pan and let rest for five minutes before serving.